MR. MXYZTPLK AND HIS WONDERFUL LAMP! 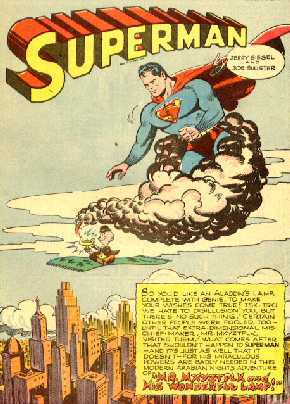 'Splash Page' seleccionada de la serie ACTION COMICS en su número 102 de Noviembre 1946. Extraordinario dibujo de Wayne Boring entintado por Stan Kaye. 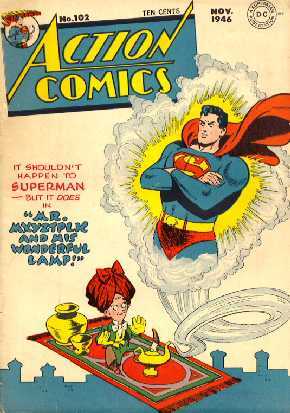 Splash Page selected from ACTION COMICS NO.102, November 1946. Extraordinary drawing by Wayne Boring inked by Stan Kaye.